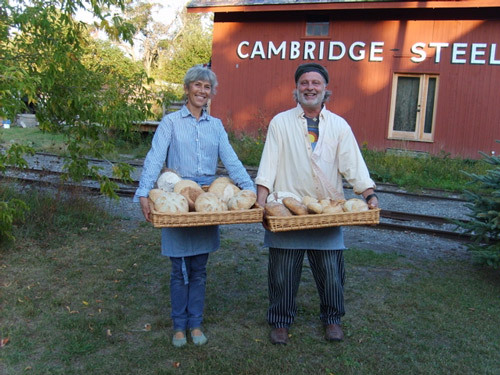 Scott and Lisa Carrino are passionate, lifelong, bakers. Until now, their greatest fans have been their family and friends who’ve encouraged them to offer their delicious, handmade baked goods to the public. Lisa Serotta - Carrino started her first professional cookie business at age 10, worked through college selling cookies in dormitories, and then designed and produced gingerbread diplomas for the Rhode Island School of Design’s 1974 graduates. She baked the 500, 10”X16” bas relief gingerbread diplomas in the burn out kiln of the school’s foundry. Graduation was aroma enhanced and the graduates received biodegradable diplomas. 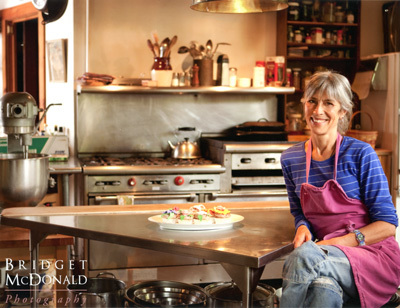 With a degree in sculpture and courses in baking from Johnson and Wales Culinary Institute, Lisa began a career in edible art which she continues to develop. Scott Carrino grew up in the heart of Italian-American culture just outside of NYC. Big family meals featured obligatory steam trays heaped with, lasagna, eggplant parmesan, baked ziti, sausage, meatballs and crusty, airy breads. Italian bakeries offered daily breads, as well as cannoli, sfogliatelli, and fancy cream cakes that accompanied every important family event. The Carrino family deli claims to have invented the 8’ sub which required 8’ long loaves of bread. 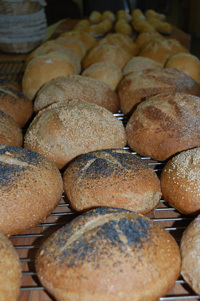 Scott grew up knowing what good bread tastes, looks and smells like. 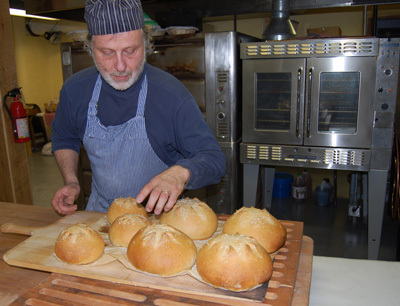 Although he loves making the rustic standard breads of his childhood, he continues to develop new recipes and techniques incorporating whole organic grains and ingredients.